For years now people have speculated about life on other planets and intergalactic visitors coming to check up on us. But we are immune to all that stuff here in the UK, right? Wrong! 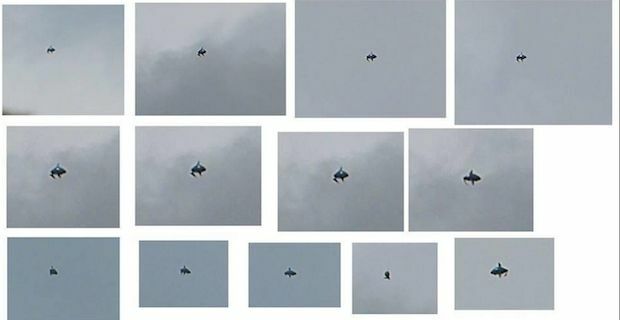 This week, a UFO was recorded hovering over Islington in North London and a series of photos have been shared on a Facebook account called Mixtris Ufo-Images. The poster managed to video the mysterious object floating in the London sky for around 5 minutes before it disappeared from view. The photographer seemed very unsure of what the object was saying "I'm not sure what this object is. I thought it was a balloon, but there appears to be a light on it. I would like some feedback on this. Thanks.". One poster responded with "Very strange that thing you caught. Looks like it has little landing feet.". In 2012, the then head of UK air traffic controller Richard Deakin suggested that UK skies often host UFO's with an average of one sighting reported each month "that don’t conform to normal flight patterns". Earlier this year, a plane flying to London Heathrow had a near miss with a UFO and the pilot claimed that the object was heading directly towards the jet before it changed course only a few feet away.